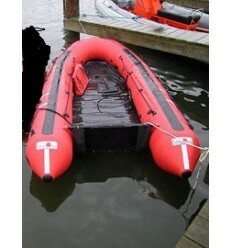 Rescue Inflatable Boats There are 9 products. 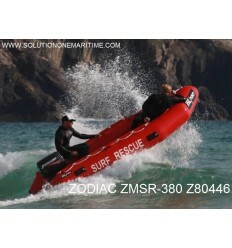 Zodiac ZMSR 380 RESCUE Z80446 Hypalon Free Shipping Zodiac Milpro has developed the ZMSR-380 in collaboration with the International Federation of Rescue as well as the most recognized Inshore rescue organizations and specialists around the world. 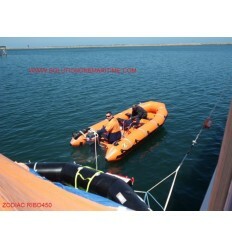 Zodiac ERB 380 RED High Pressure Air FLOOR ZODIAC Free Shipping The Zodiac Milpro ERB range has been specifically designed to meet the demanding requirements of Search & Rescue Organisations throughout the World. Our ERB crafts are highly portable, compact packed size and can be rapidly deployed by means of high pressure inflation systems, within minutes. 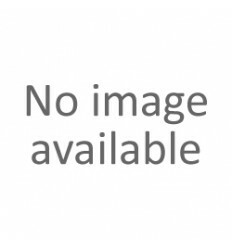 Zodiac ERB 400 RED H2P FLOOR Free Shipping ZODIAC ERB range has been specifically designed to meet the demanding requirements of Search & Rescue Organisations throughout the World. Our ERB craft are highly portable, compact packed size and can be rapidly deployed by means of high pressure inflation systems, within minutes. 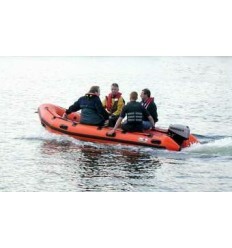 Zodiac ERB 310 RED with High Pressure Floor FREE SHIPPING The ZODIAC ERB range has been specifically designed to meet the demanding requirements of Search & Rescue Organisations throughout the World. 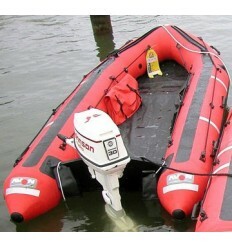 Our ERB craft are highly portable, compact packed size and can be rapidly deployed by means of high pressure inflation systems, within minutes.